1 Analysis and critique of medieval ('classical' in Shahak's terminology) Judaism as a whole. 2 Exposition of the fact that modern 'secular' Zionism has inherited many oppressive, and specifically racist tendencies, from medieval Judaism. The reader is warned about the non-Marxist nature of the essay, whose importance is further justified by stating that 'if Jews have been the principal victims of racism in this century, this must not be a restraint to expose racist tendencies within Zionism'. 'Leaving aside for a while a methodological critique of the essay (whether the theoretical framework of nineteenth century Enlightenment is an effective tool for analysing the medieval Jewish influence in modern Zionism), it must be said that Shahak does succeed in his second objective; that is, he verifies empirically that many everyday practical and legal matters in modern Israel are settled using ideological elements borrowed from medieval Judaism. Such an empirical verification is valuable in itself and, together with his systematic exhibition of racist, classist and sexist passages from medieval Jewish liturgy, forms the best of his essay. All this empirical evidence could lead to a well-structured materialist analysis, which would not only incorporate these empirical facts, but could use them for explaining to what degree the clericalism of the State of Israel is an organic component of it, and not just an incidental feature (electoral blackmail of religious parties). Shahak also points out, correctly, how 'deceptive' interpretations of medieval Judaism (and Jewish history in general) are being propagated by a whole army of journalists, intellectuals and middlemen ('patriotic liars' in Shahak's terminology). Worse, these 'deceptions' are still believed by the majority of Jews today. Regarding the first objective, the best that can be said is that Shahak does show the incompatibility of medieval Judaism with the philosophy of the Enlightenment. Such a finding is not a surprise in itself, since medieval Judaism is a feudal, corporative institution and, as such, is anathema to the individualistic conceptions of the Enlightenment. However, Shahak deals with medieval Judaism in an ahistorical and non-material manner; he uses isolated empirical facts to present it as a 'closed' and 'totalitarian' institution, taking Karl Popper's 'Open Society' as a reference for what an ideally non-closed and nontotalitarian society should look like. I wonder whether it is legitimate to analyse a medieval institution, contrasting it with a later post-medieval social model, and therefore conclude that the medieval institution was 'totalitarian'; even in the case when such an ahistorical comparison could be justified, if it is made without specifying the nature of the broad social environment in which such a medieval institution operated, this comparison becomes absurd. In the first part of his essay, Shahak concludes that medieval Judaism was 'one of the most totalitarian institutions of human history', but there is no mention at all that this institution was immersed in a broader society (medieval Europe) which would also be 'totalitarian' by Shahak's standards. It would be foolish to expect medieval Jewish communities to be islands of Popperian 'Open Societies' in the ocean of medieval corporative Europe; these islands would have never survived. Shahak's commentaries regarding some of the supposed characteristics of modern Jews, like the 'Jewish' sense of humour, are also absurd. The fact that medieval JudaIsm has no comedies does not imply a humourless condition of medieval Jews, not to mention modern Jews. There were also no comedies in medieval Christianity, and the allusion to totalitarianism in this context is ridiculous. Modern Jews and medieval Jews lived in very different environments, and therefore they must have different characteristics: whether or not there is a historical continuity between them cannot be categorically determined just by an empirical examination of medieval Judaism. In the third part of the essay Shahak argues at length that medieval Judaism was contemptuous of peasants and of agriculture as an occupation. However he does not use these facts as material for constructing a satisfactory analysis nor does he connect them with the discussion in Part I; consequently the text, as a whole, becomes extremely confused. Shahak presents an encyclopedic and static view of medieval Jewish history, that is, full of ill-connected details and lacking a consistent development and systematisation. His view has the typical methodological structure of liberal historical analysis, in which the set of moral considerations and decisions of a few powerful and (usually) 'evil' men constitute the engine of history, all against a static background of suffering peasants. In the case of medieval Jews, these 'evil' men were the rabbinical caste, and the endurance of medieval Judaism as an 'oppressive' institution is only a consequence of the coercive power of this caste, either in collusion with or subordinated to the equally 'evil' but more powerful Gentile king or feudal lord. Although Abram Leon's thesis has its own limitations, at least it provides a much better structured account of Jewish history than all previous and later idealistic historiographies. Even acceptìng an idealistic point of view, it is impossible to conclude categorically that in every case the massacres of Jews in the Middle Ages or in Khmielnicki's revolt were legitimate acts of exploited serfs against 'privileged and corrupt' Jews. It is impossible to know in each partìcular event the moral considerations which different individuals followed, or whether antagonistìc group interests forced the Jews to take sides independently of their individual moral considerations. The fact that many of the precepts and regulations of medieval Judaism seem to be 'immoral' by the standards of the Enlightenment is not a categorical proof that medieval Jews had a free choice to behave 'morally', and instead chose an 'immoral' behaviour, becoming usurers or slave-traders. Even if the Jews belonged to the privileged strata of medieval society, this does not mean that their position was very secure; usually it was not, but depended on the protectìon of kings, noblemen, the clergy, etc. There were no Jewish armies in the Middle Ages, and if the Jews were the usual target of popular fury, it may have been because they were the weakest and most unprotected sector of these privileged strata; and after the Crusades, perhaps the only one of these sectors which was in everyday contact with the peasants and urban poor. According to Abram Leon's theory, the decadence of western European Jewries (except for the Spanish and Portuguese Jewish communities) was in a very advanced stage just before the French Revolutìon; therefore the Jews whom enlightened gentlemen like Voltaire came across were mainly archaic remnants of a long-gone medieval world. However, the enlighteners also shared some prejudices which belong to the'European Christian tradition, even if they themselves were fierce anti-clericalicists.7 These prejudices form the 'money-grabbing, parasitic, obscurantist' stereotype, which was reinforced by their occasional acquaintances with such real Jews. This myth about the 'wandering evil Jew' is nothing more than one of the ideological elements common to most political movements in agrarian societies, consisting in 'idealising the native peasant so as to oppose him as a prototype to the corrupt urban dweller and to the foreigner, especially to the Jew'.8 These myths originated in the antagonism felt by agrarian societies towards any occupation (merchants, bureaucrats, skilled artisans) which was not directly related to agrículture. Such antagonism has always been expressed through moral condemnations. It is by no means a recent phenomenon, and can be traced as far back as the ancient Greek and Roman societies.9 Obviously, this attitude forms a strong component of the ancient and medieval hatred towards non-peasant ethnic groups (Jews, Gypsies, Armenians, etc). Since the Christian middle ages were a period of fundamentally agrarian societies, these ideological elements survived that period and were incorporated in European Christian thought, all the way until the Enlightenment, when the Jews were the most identifiable group of non-peasant origin in Europe. During the Enlightenment, when large sectors of western European society became urbanised, the above-mentioned ideological elements took different forms depending on the degree of rupture that different sectors of this society had with respect to the values of the former agrarian society. Among the most urbanised sector (including many radical liberals, anti-clericalists and socialists) these ideological elements were purged of their religious presentation; keeping only the attribution of moral virtues per se to the peasantry and working class, on account of the 'morally positive' nature of their occupations. As a contrast, the Jews were offered emancipation and civil rights as individuals, but not as a distinct cultural-religious group, since Jewish culture and religion were associated automatically with 'morally degrading' activities such as commerce, usury, speculation. The fact that this image of the Jews and their religion is a mystification becomes evident when one examines the way these enlighteners describe Judaism, Jewish history, and their own attitudes towards contemporary Jews.10 For the western European enlightened bourgeoisie, the whole Jewish question was reduced to one simple idea: the Jews have been despised and persecuted because they fanatically adhered to their obscurantist faith, and consequently they could only be accepted in an enlightened society if they would renounce their' Jewish characteristics'. Western European Jews who were assimilating culturally to this bourgeoisie did accept this point of view, and believing this image of themselves, they acquired in their assimilation process these prejudices when dealing with eastern European non-enlightened Jews. Other ethnic groups, such as non-European 'natives' were also mystified by the enlighteners, and even by early Marxists, as 'noble savages' who would deserve enlightenment when they renounced their 'uncivilised characteristics'. All these commonly held prejudices can always be reinforced by manipulating empirical findings when analysing the history and behaviour of a particular group. For example, a scholar wishing to exhibit the 'criminal character' of American Blacks could produce evidence showing over-representation of Blacks in American jails. However, it is not the amount of empirical evidence which makes a social analysis worthy of consideration; it is how this evidence is consistently incorporated into a methodologically sound analysis. In the case of Voltaire or Marx, when they wrote about the Jews in general, they were ignorant of their diversity as a product of their dispersion, which faced these Jewish minorities with different socio-economic environments: from medieval Yemen to industrial England. Thus, their prejudices became self-evident inasmuch as they ignored any evidence that would have contradicted their beliefs, and they did not even develop a complete analysis accounting for their known evidence. In the case of a twentieth century Israeli enlightener like Shahak,11 both situations arise: as an anti-Zionist within Israel, he is confronted with an oppressive, clericalist state which is officially a 'Jewish' state; therefore he tries to demonstrate that every single group, throughout history, which identified itself as Jewish must have shared to a lesser or greater degree the same type of 'totalitarian' behaviour towards the Gentile society (especially peasants) as the State of Israel practises towards the Palestinians and other Arabs. Thus, according to Shahak, pre-1795 Polish Jewry provides the best 'historical model' explaining the current political position of Israel in a world-wide context, with the imperialist powers, Israel, and the Third World's peasants replacing the roles of the feudal lords, their Jewish servants and bailiffs, and the serfs, respectively. Without denying some limited validity to such an analogy, it must be said that it is a flawed second-rate substitute for an understanding of the role of Israel as a sub-imperialist power in the Middle East, and as one of the major providers of weapons to military dictatorships. The revolt of the Cossack leader Khmielnicki in 1648 provides another example of how Shahak manipulates historical facts to fit them into his theories. Independently of historical considerations (whether or not Shahak's account of this revolt is accurate) and even accepting the claim that this event was significant in shaping Jewish-Gentile relations in eastern Europe, it is doubtful that twentieth-century eastern European Jewish settlers in Palestine ideologically identified the Palestinians with the Ukrainian peasants participating in Khmielnicki's revolt. The relation between Jewish settlers and Palestinians was completely different from that between Jews ,and peasants in seventeenth-century Ukraine, and of all the factors accounting for the attitudes and prejudices of the Zionist establishment towards the Palestinians, the specific conditions under which the Zionist settling process took place are far more important than a historically distant event. In any case, the Cossack leader who was in the minds of eastern European Jews during the Zionist colonisation was not Khmielnicki, but rather Petlura; I doubt very much whether one could'associate any 'positive' attribute to the latter just by virtue of being a leader of peasants. I will not deny Shahak's claim that medieval Judaism had a strong antipeasant ideological content, and that this fact must have somehow reflected the socio-economic role and prejudices of those who created and practised the norms and precepts of such a liturgy. As pointed out before, medieval Christianity, being the religion of a largely agrarian society, incorporated into its ideology a set of prejudices directed against those groups who had a non-agricultural occupation. Therefore, the Middle Ages witnessed dialectical relations between groups whose socio-economic nature is in some cases reflected in the ideological content of their religions, each one understanding the other through a set of prejudices. Both groups disliked and attributed moral defects to each other; but they also needed each other and there was mutual tolerance whenever the whole of medieval society was reasonably stable. Considering the relatively different regional conditions in each country and each particular historical period, Jewish-Gentile relations in medieval Europe fit quite well the urban-rural dialectical relation just described. Throughout the Middle Ages, either when privileged and protected or when despised and persecuted, medieval Jews had a distinctive general feature: they were an easily identifiable town-dwelling group not related to agricultural activities. Medieval Judaism, as the religion of a town-dwelling group immersed in an agrarian society, reflects the anti-peasant prejudices of such a group. Shahak's approach to this fact is to stress extensively the anti-peasant prejudices of medieval Judaism (which become demonical attributes), and to ignore the dialectical relation with the religion of the surrounding society: medieval Christianity. That is, he examines medieval Judaism (and also, post-medieval Jewish history) from the ideological system of reference of the agrarian Christian tradition, using the language and methodology of its post-medieval continuation: the Enlightenment. Not only did the Enlightenment fail to produce a convincing account for the survival of the ethno-religious Jewish minorities, it also provided the theoretical framework in which the vulgar Jewish historiographies are written. These historiographies, sanctioned by the full official apparatus of the State of Israel, have the same methodological structure as Shahak's essay, with a reverse mystification: the 'suffering' Jews are sanctified and the 'evil' peasants become antisemitic demons. Needless to say, all these mystifying approaches to medieval Judaism, treating it in isolation from its social environment, without an understanding of the material conditions and evolution of medieval society as a whole, are empty and misleading, even if they incorporate large amounts of empirical evidence. We must confront the Jewish past and those aspects of the present which are based simultaneously on lying about the past and worshipping it. The prerequisites of this are, first, total honesty about the facts, and, secondly the belief (leading to action, whenever possible) in universalist human principles of ethics and politics. An examination of radical, socialist and communist parties can provide many examples of disguised Jewish chauvinists and racists, who joined these parties merely for reasons of "Jewish interest" and are, in this region, in favour of anti-gentile discrimination. One need only to check how many Jewish "Socialists" have managed to write about the kibbutz without taking the trouble to mention that it is a racist institution from which non-Jewish citizens of Israel are rigorously excluded, to see that the phenomenon we are alluding to is by no means uncommon. Even in the case of individual Jewish members of left-wing organisations, who either campaign openly for Zionism or fail to denounce it, it is very simplistic to assume that these individuals are disguised Jewish racists. It is not possible to conclude categorically that if a given individual claims to subscribe to a certain ideology, he/she is responsible for every single aspect of that ideology. Individuals may adhere to a given oppressive ideology because of a variety of reasons: ignorance, opportunism, temporary and personal circumstances, or because the oppressive nature of that ideology is not evident in the social context in which the individual lives. In the case of individual Jews outside Israel, all these reasons hold, and must be understood when confronting their support for Zionism. I am not claiming that Jews are free of racism just by virtue of being Jews, or that they have no responsibility whatsoever for subscribing to an ideology which necessarily deprives the Palestinian people of its political rights; but it is also not possible to dismiss all these circumstances as 'Jewish interest' somehow originating from the 'racist' nature of medieval Judaism. All politically active individuals are guilty of political contradictions, at least temporarily, without necessarily being hypocrites or disguised racists. To confront this fact with a hysterical, maximalist, moralcrusading rhetoric leads nowhere. An example of how Shahak deals with these facts is his sarcastic account of the rabbis who campaigned with Martin Luther King without having made a thorough self-criticism about anti-Black racism in important passages of medieval Jewish liturgy. Shahak dismisses these rabbis either as disguised Jewish racists who supported the Civil Rights movement for tactical reasons dictated by' Jewish interest', or as schizophrenics. Later on, in the third part of the essay, he draws a humanising view of nineteenth-century European anti semites as 'bewildered men who deeply hated modern society in all its aspects. . . were ardent believers in the conspiracy theory. . . cast [the Jews] in the role of scapegoat . . . ' It is interesting to see how it is perfectly natural for Shahak to excuse political and moral contradictions in certain individuals and groups as long as they are not Jewish; why couldn't the American rabbinical scholars have been (at least some of them) simply confused, contradictory (and perhaps in many cases conservative) individuals whose participation in the Civil Rights movement was honest? Why does Shahak only demand 100 per cent contradiction-free moral integrity from the Jewish characters of his demonology? Perhaps he secretly believes in 'Jewish moral superiority' and castigates the Jew in his imagination for not living up to such superiority. … One way to "atone" for the persecution of Jews is to speak out against evil perpetrated by Jews but to participate in "white lies" about them. One way to "explain" the persecution of Jews is to generalise (ahistorically) to all Jews the evil (nature) of Zionism and to participate in "white lies" about some of their persecutors. It is clear from reading these moralistic manipulations, that antisemitism (and racism in general) is a far too serious social problem to be approached only through moral considerations. Unfortunately, and in this respect I agree with Shahak, Marxist research (especially the excessively economistic variety) has not yet produced a satisfactory account of racism in its most virulent forms. Not surprisingly, even today the ethno-religious Jewish minorities still feel vulnerable to discrimination to a lesser or greater degree, depending on the socio-economic position they occupy in the country where they live. This insecurity must be a relevant factor in the political awareness of individuals within these minorities. There is still no coherent account of how and why the large majority of these Jews still subscribe to Zionism. This important task has not yet been achieved by anti-Zionist scholars, who have concentrated exclusively on the role of Zionism in the political scenario of the Middle East, leaving aside the fact that Zionism, as an ideology and as a political movement, plays a very different role outside Israel, since the conditions in which the Jewish minorities live are very different from those of the Israeli Jews, who are a relatively new national group. What must be investigated is how Zionism affects the way in which Jewish minorities have related to their surrounding societies, and how the outcome of this interrelation has determined their acceptance of Zionism with the inherent mythologic-catastrophic view of their history. It must be said that before the Second World War Zionism was never the dominant political movement among the Jews; this can be verified for example by checking the results of municipal elections in pre-1939 Poland. To what degree and by what mechanisms did the Holocaust put Zionism into its present preponderant role? Whose group interests within the Jewish minorities benefit, in the long run, from the parasitic relation which developed thereafter between these minorities and the Israeli ruling class? These questions may run parallel to Shahak's idea of 'the return to a closed Jewish society'; however his treatment of this interesting idea makes it devoid of all merit, since he presents the Jews as passively awaiting their liberation by 'external forces' (possibly the forces of the Enlightenment). Thus, he barely mentions what could be called 'assertive reactions' that Jews, by their own initiative, have attempted. These reactions implied challenging the blackmail according to which the price of emancipation would be a complete loss of Jewish cultural and religious specificity; instead the majority, whenever the conditions were favourable, tried to adapt their backward religion and culture to the conditions provided by the Enlightenment. The best examples of these assertive reactions were: Reform Judaism within religion, and the secular Yiddish and Hebrew cultures together with the Bund as modern expressions of a Jewish identity. Unfortunately Reform Judaism does not even merit a word from Shahak; and the Bund, in spite of its achievements as a genuinely revolutionary party opposing the reactionary Jewish orthodoxy and Zionism,. is played down by arguing that its leaders promoted the racist idea of 'the superiority of jewish moral and intellect', and therefore despised the eastern European peasants without making any self criticism regarding this attitude. I do not claim that the Bund, as a political organisation, is beyond criticism, nor do I believe that its leadership and rank-and-file members were completely free of the anti-peasant prejudices inherited from medieval jewish religious tradition. But the same could be said of the Polish, Russian, Ukrainian or Lithuanian political organisations with respect to the anti-Jewish prejudices of medieval Christian religious origin. Any account of the relation between eastern European Jews and the surrounding population (mainly peasants) cannot ignore the attitude of this population towards the Jews. Shahak's account of this relation is basically the simplistic unilateral view of' Jewish anti-peasant chauvinism' against a static background of idealised peasants;17 and is based on the mistaken assumption that, as late as the twentieth century, eastern European Jews still related to the peasantry strictly according to the pattern which he previously described for medieval western Europe. By the time of the Bund, the Yiddishspeaking masses had undergone a process of proletarianisation parallel to the gradual but steady loss of their 'people-class' nature. This evolution meant that the Jewish workers, pedlars and artisans, as an exploited sector within an oppressed non-territorial national minority, were not better off than the surrounding peasantry. This peasantry was usually the cannon-fodder for the most reactionary and chauvinist movements in eastern Europe, and was often mobilised in order to perpetrate all sorts of anti-Jewish riots, including the infamous pogroms. Hence, the seeds of later tragic developments in eastern Europe can be traced to the fact that these oppressed groups, the Jewish workers and the non-Jewish peasantry and working class, had a mutual distrust and prejudice which practically prevented any cooperation between them. In these circumstances, it is not acceptable by any standard to demand of the Jewish parties and factions a self-critique of chauvinistic attitudes, without demanding the same ofthose political organisations which represented the non-Jewish eastern European peasants, workers and middle classes. It is certainly regrettable that, even today, Jews of eastern European descent hold prejudices against eastern European ethnic groups; One must not forget however that the anti-Jewish prejudices of these (mainly peasant) ethnic groups had far more tragic consequences for the Jews, in terms of human lives and suffering, than Jewish chauvinism against them could have ever had. During the Second World War, the majority of Polish, Lithuanian and Ukrainian peasants (with honourable exceptions) were indifferent to the fate of the Jews; in spite of their own suffering under Nazi occupation, many of these peasants participated in the infamous Einsatzgruppen18 which murdered nearly a million Jews. As a survivor of the Holocaust, Shahak must be aware of these facts. It is then no surprise at all that the descendants and relatives of these Jews, now living in America, the Soviet Union or Israel, are very reluctant to re-examine their prejudices against those ethnic groups. Hopefully, there will come the day when Polish, Ukrainian, Lithuanian and eastern-European Jewish intellectuals will re-examine their common history with mutual respect and understanding. There is not only a lack of Jewish initiative for this; so far, not a single Polish, Ukrainian or Lithuanian national organisation has ever carried out a self-criticism of the fact that many oftheir leaders and members (including many peasants) were prominent in collaborating with the Nazis to 'settle' the Jewish question. If there is a turn towards a closed, inward-looking, catastrophically oriented political view within the Jewish communities, a great deal of it might be because of the recent historical experience that every form of assertion attempted by the Jews themselves proved to be too feeble against the prejudices that large sectors of European society has had against them for centuries. If the preponderance of Zionism is the ugly consequence of this defeat, then it is doubtful whether it can be challenged by invoking these same prejudices, presented in a 'scholarly' way. All those anti-Zionists who pretend that the development of Zionism in the European context can be explained mainly as a consequence of Jewish racism, do not only misunderstand its relation with the historical experience of the European Jews, but they aso launch a political boomerang: a Judeophobic anti-Zionism is the best weapon in the hands of Zionists. Rather, it is the task of progressive anti-Zionists (Jews and non-Jews alike) to challenge Zionism as a false liberation, or better, as a total surrender to antisemitism and an actual negation of liberation. Hopefully, when the centrality of Zionism in the political thinking within the Jewish minorities fades away, the fetishistic attachment to the Israeli State will be replaced by a genuine concern for the development and well-being of Israeli Jews and their Hebrew culture, together with (and not against) the other nations and cultures of the Middle East. Perhaps then, under those conditions, there will be a stimulating renaissance of Jewish culture far beyond the miserable choices offered by most Jewish communities today: Religion, Zionism or Assimilation. Finally, in perfect agreement with Shahak, I think the Jew must confront his/her past and this will necessarily involve a thorough and open critique of the Jewish religion as an important ideological source 'in Jewish history. Under the present political conditions in the Middle East, this important task can no longer be postponed as could have been the case under different circumstances. However, I doubt the effecttiveness of following a moralistic approach, based on invoking a background of loosely defined 'universalist' principles. Rather, we must confront our past with the conviction that no aspect of it is free from explanation and criticism, and therefore our behaviour and characteristics cannot be understood in isolation from the development of general society, nor traced to obscure mythological forces, but to material conditions which could have affected any other human group. In the understanding of these conditions lies also the understanding of our present. 1. Paul R. Mendes-Flohr and Jehuda Reinharz (eds. ), The Jew in the Modern World, a Documentary History, Oxford University Press, 1980, p256. 2. 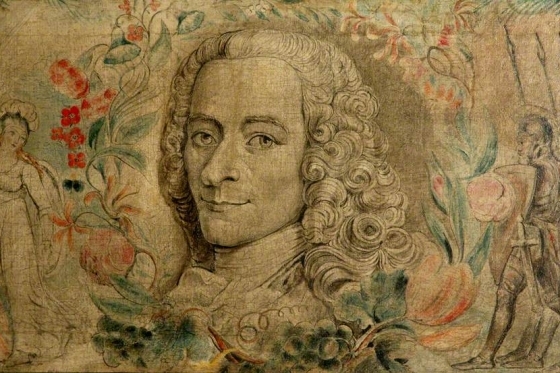 Voltaire himself had no personal Judeophobic feelings towards individual Jews who embraced the philosophy of the Enlightenment. An account of his correspondence with contemporary Jews is given in Paul R. Mendes-Flohr and Jehuda Reinharz, op cit, pp252 – 256. 3. Abram Leon, The Jewish Question, a Marxist interpretation, Pathfinder Press, New York, 1970. It is remarkable that this important work on Jewish history is not even mentioned by Shahak throughout his essay. 4. The Radanites were Jewish traders in the early Middle Ages, who operated through a network of Jewish communities extending from western Europe to China. 5. An Orthodox Marxist account of the relations between the. Jews and the rest of medieval social classes is given in Abram Leon, opcit, pp154 -173. See also: James Parkes, The Jew in the Medieval Community, Harmon, New York, 1976; Henri Pirenne, Economical and Social History of Medieval Europe, Harcourt Brace nd World, New York, undated; Salo Baron, A Social and Religious History of the Jews, Columbia University Press, New York. 6. The only source on medieval history mentioned explicitly by Shahak is Hugh Trevor-Roper, The Rise of Christian Europe, Thames and Hudson, 1965 p173 - 4. Shahak attributes to this author the merit of being one of the few, among recent general historians, who 'remarks upon' the popular nature of medieval anti-Jewish persecutions, and the prominence of the Jews in the early medieval slave trade. I wonder not only why Shahak does not mention other sources, but also why only so few modern general historians have emphasised these facts. Perhaps these facts, being true, were not so clear and widespread as Shahak claims. 7. Shahak's claim that medieval Christian tradition is relatively free of antiJewish racism is ridiculous. Many examples show the contrary: The Juden Sau, Jews sucking milk from a pig, is a very common motive in the decoration of German medieval churches. The charge of 'deicide' thrown up against all Jewry was not reexamined by the Vatican until recently. (See Maxime Rodinson, Israel and the Arabs, Penguin, p152). 8. Ghita Ionescu and Ernest Gellner, Populism, its Meanings and National Characteristics, Weidenfeld and Nicolson, London, 1969, p117. 9. See Abram Leon, op cit, p71. See also M.I. Findlay, Aspects of Antiquity, Penguin Books, Harmondsworth, 1977. 10. The image of Jews and Judaism held by enlighteners and nineteenth-century Marxists is thoroughly discussed in the introduction of Robert Wistrich, Revolutionary Jews, From Marx to Trotsky, Harrop, London, 1976. This mystification can also be traced in Lenin's view of the Jewish question: Lenin, The Jewish Question. 11. The fact that I sharply criticise the methodology of Shahak's essay does not imply that I fail to recognise his courage and integrity in exposing the violation of human rights, which Palestinians suffer every day in Israel and the Occupied Territories. 12. A critique of Abram Leon's work is found in 'Marxism and the Jewish Question', essay by David H. Reuben in The Socialist Register, 1982, Merlin Press, London. 13. Isaac Deutcher, The non-Jewish Jew and other essays, Merlin Press, London. Also in Jewish Revolutionariesfrom Marx to Trotsky, op cit. 14. This behaviour of left-wing radical Jews is even more pronounced today, since a 'Jewish identity' has become for the extreme left synomous with Zionism. Therefore, many left-wing anti-Zionist Jews are more radical in this respect than non-Jewish militants. 15. This type of Judeophobic manipulation of anti-Zionism is common in Stalinist antisemitism. See two essays in Robert Wistrich's Anti-Zionism in the USSR: From Lenin to the Soviet Black Hundreds: Adam Diolkose, '''Anti-Zionism" in Polish Communist Party Politics and W. Oschlies, 'Neo-Stalinist Anti-Semitism in Czechoslovakia'. See also Nathan Weinstock's introduction to Abram Leon, op cit, pp48-54. 16. My understanding of the term 'anti-semitism' is that explained by Maxime Rodinson in 'Quelques idées simples sur l'Anti-Semitisme', Revue des Etudes Palestiniennes, vol 1, Beirut 1981, (Published in Paris). For a comprehensive treatise on antisemitism see Leon Poliakov, The History of Anti-Semitism, Routledge and Kegan Paul, London, 1975. 17. Shahak's mystification of the peasantry is similar to that found in most populisms in agrarian societies (as for example, eastern Europe). It is also a characteristic of the Russian 'narodniki'. See Ghita Ionescu and Ernest Gellner, op cit. 18. The Einsatzgruppen were units especially used by the Nazis to murder the Jews left behind the frontlines of the German military advance in the USSR. They were formed largely by Polish, Ukranian and Lithuanian peasants who collaborated with the Nazis.